Ko, S. & Rossen, S. (2010). 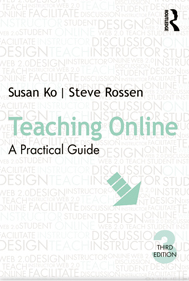 Teaching online: A practical guide (3rd ed.) New York, NY: Routledge. The target audiences of this book are post-secondary instructors and instructional designers. It is extremely thorough and covers three main topics of Getting Started, Putting the Course Together and Teaching in the Online Classroom. Getting Started is an overview of online teaching, including answers to many common questions or concerns, reasons why classes should be offered online and also a detailed look at your institution’s level of readiness. At the University of Saskatchewan we fall into the high-readiness category, which bodes well for any instructors that are moving into teaching online. Putting the Course Together looks at the process of building an online course. It explains that you should not plan to use all of the same materials as face-to-face course. Instead you should begin with an instructional design process of Analysis, Writing Outcomes and Design. This does not mean you will need to build everything from scratch, but rather suggests that the online medium may provide or require different approaches for some outcomes. Chapter 3 on Course Design and Development is a chapter that I would highly recommend be read by all instructors that are exploring teaching online. This section of the book may be better to scan through to find topics that you are looking for rather and coming back to when necessary rather than reading straight through because it goes very in depth and covers an overwhelmingly large variety of topics and tools. Teaching in the Online Classroom begins with a look at technical problems that students will undoubtedly face and gives suggestions on how to deal with them, including how to orient your students to online learning. It then discusses classroom management with a focus again on how to effectively run asynchronous discussion boards. There are even examples provided of how to deal with more serious classroom management problems. 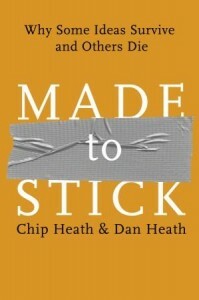 The second to last chapter looks specifically at how to effectively run Blended Courses. This book is great for anyone who is designing online courses or is taking on the task of teaching online courses. It covers every topic I can think related to teaching online and does so in a very practical way. Be warned that this is not a book that you would want to read just weeks before beginning to teach online, but rather should be read about six months to a year in advance of the course in order to start framing your online teaching style and philosophy. The book should then be referenced again when designing and teaching the course.